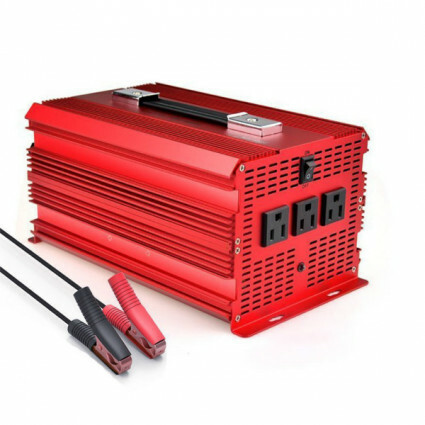 High powered power inverter 2000W with high performance is perfect for multiple loads and major household appliances on the go. 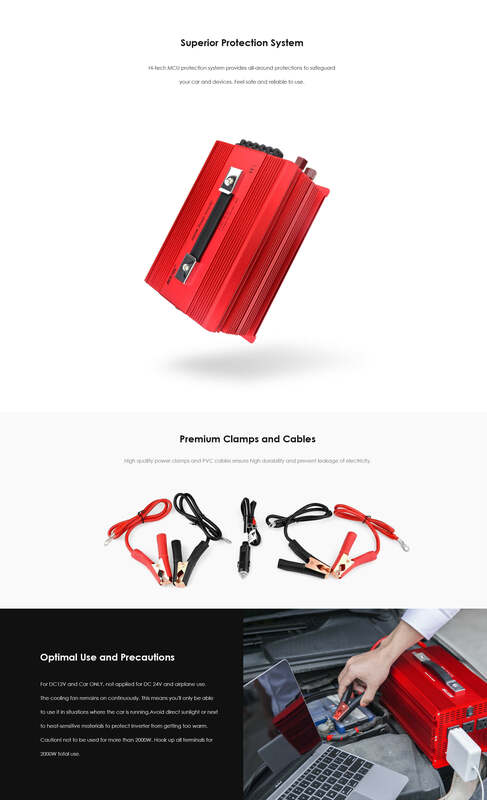 Fuse: Six external 50A fuses, Not only protects the home appliances, pumps, and motors from damage, but also be convenient to replace fuses. There is some fan noise, but you're in a car so it's not a big deal. I believe the time I was using it, I put it on the floor of the passenger side, and it was fine. How hot does this inverter get during usage? It doesn't. It has a internal fan. Does it interfere with am/fm or auxiliary audio quality? This is only a 200 watt inverter. Most microwaves are 1000-1200 watts. If I have multiple devices connected, does the sum of their wattage have to be less than 2000? Or can the sum of their wattage be more than 2000? Does this work as a surge protector also? Yes, it has surge and overload protection. Just be sure you only plug things in that all added together only equal 200 watts or less. apx. 4' x 8", stores well in center console or rests easily on center rest. I have one cellphone, one ipad and laptop. I always take them when drive out. Thanks to the small power inverter. I can charge my devices in time on the road. And it charge devices quickly. It worked in my truck all day long. Use it for various devices like tools, lights, kitchen appliances, etc. Work perfect. Really good for motorhome. It offers stable and powerful output. 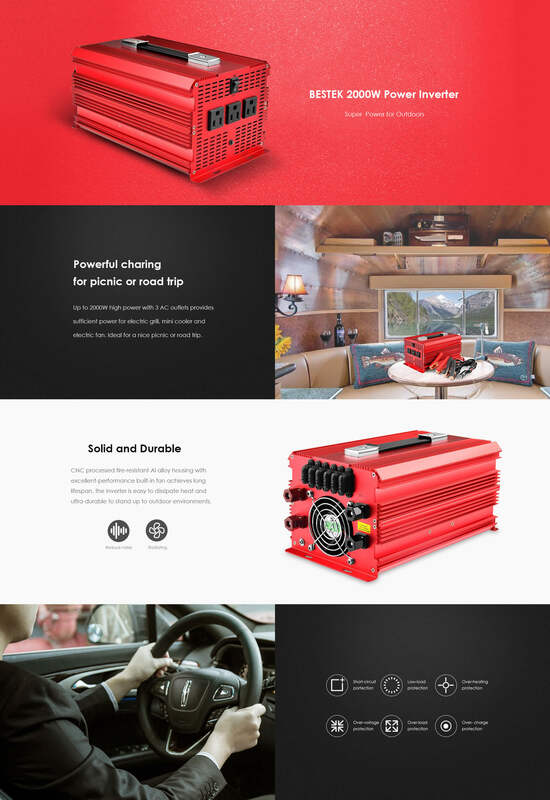 I can use it for some home appliances to cook on the road. I sue the inverter for charging a kettle, microwave during the trip. Nice work for some large appliances. Highly recommended. Received in very good condition and so far very happy with item. 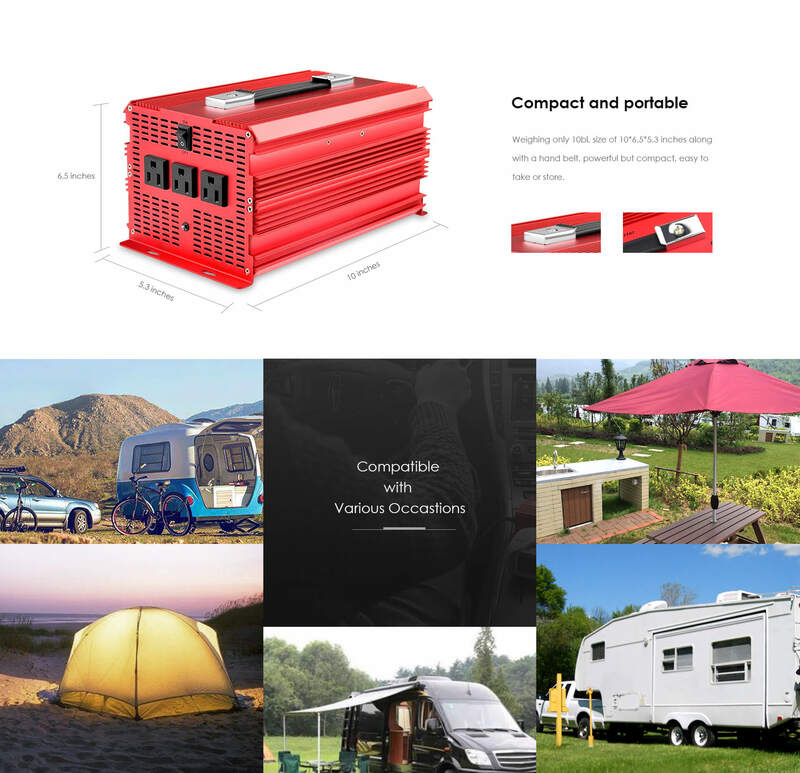 I use the inverter for outdoor camping. It is solid with rough construction. Nice quality and feature. A really good Inverter I have tried others more expensive than this but were nowhere near as good. Good idea to have a spare fully charged 12v battery to hand. 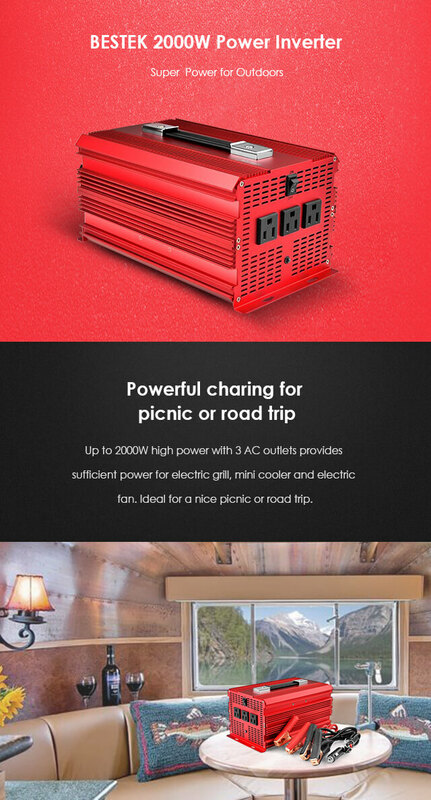 this Bestek inverter is very strong, has wonderful features. I plan on buying more! And the seller shipped fast! The build quality is top notch. The aluminum case is strong and durable and the mounting tabs are very solid. I use it to run several lights in my store. Impressive working.